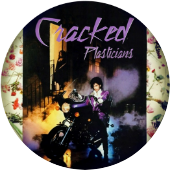 Cracked Plasticians are readers who enter the site’s weekly Photoplasty and Pictofacts contests. For money. To get in on the cash prizes and sweet internet fame, visit the Photoplasty and Pictofacts Workshop, at bit.ly/pictofacts. You don’t need experience. You just need a computer, some time, and a burning desire to make memes. Plasticians. We’re making memes smarter. CRACKED ROUND-UP: Celebrating Failed New Year's Resolutions Since 1958. In ther real world, neither would be the better choice. Counting down the 25 most popular articles Cracked.com posted this year.